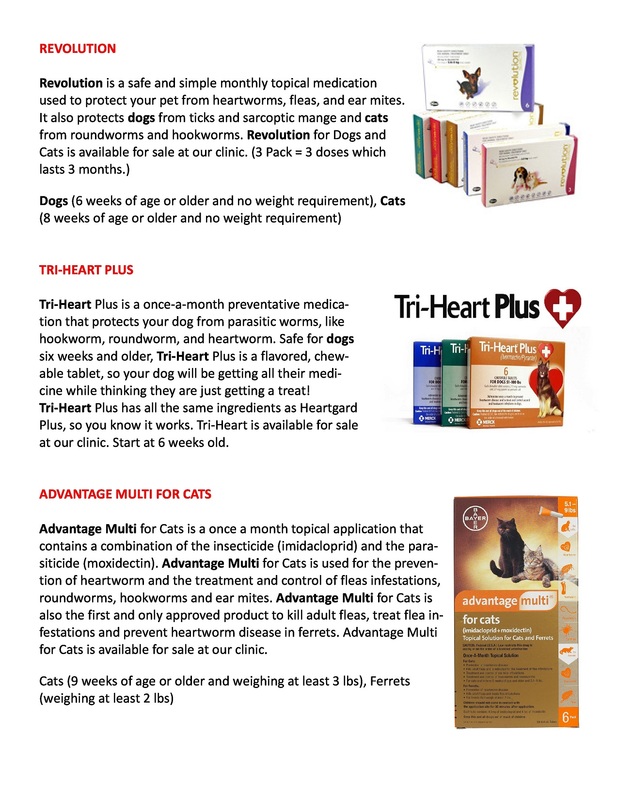 Read on to learn about the brands of heartworm prevention we offer. 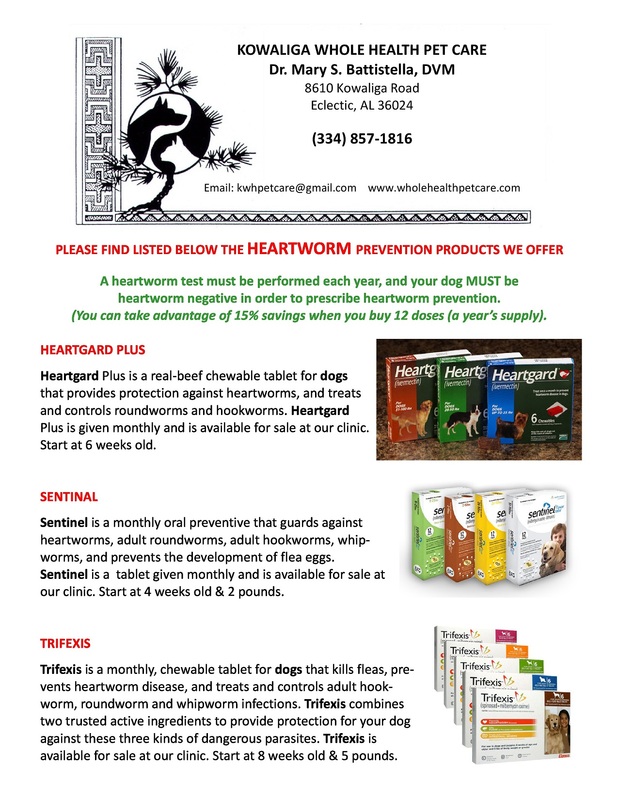 Please note that we MUST have an up to date heartworm test for your pet before we can sell the prevention meds. For questions, or to make an appointment for a heartworm test, call us at 334-857-1816!